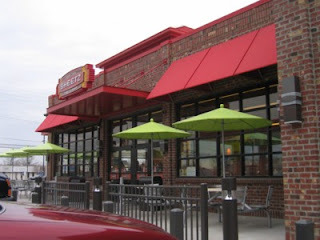 Sheetz is a gas station, first and foremost. Located in six states, all along the east coast, Sheetz is known for their gas as well as their MTO (Made To Order) Food. Most people still have the strong belief that gas stations can only produce nuclear hot dogs and pasty nacho cheese as far as food goes. 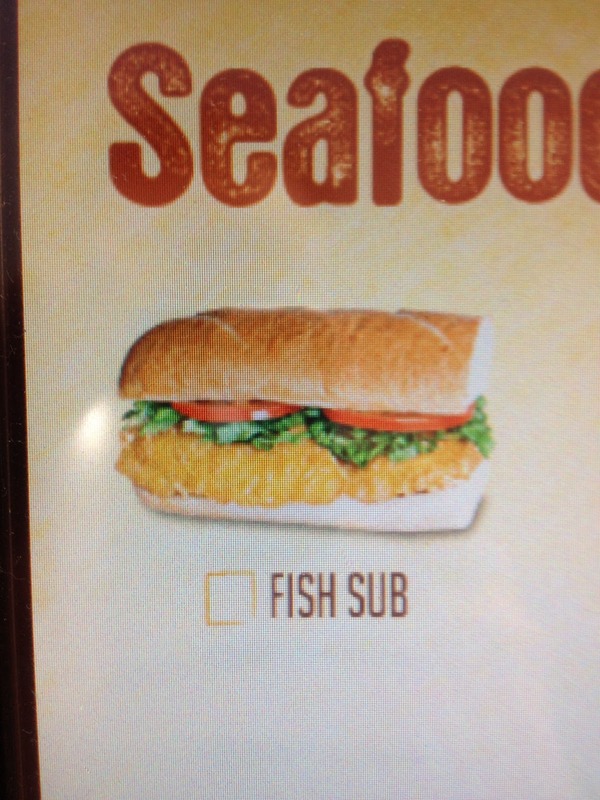 But at Sheetz, this simply isn’t the case. 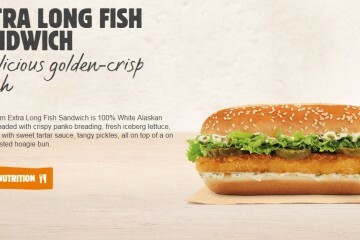 They produce comparable, if not superior food products in major fast food categories such as wraps, burgers, subs, burritos, fries, soft pretzels, salads, wings, appetizers, and now they’ve ventured out into the forbidden fish territory. 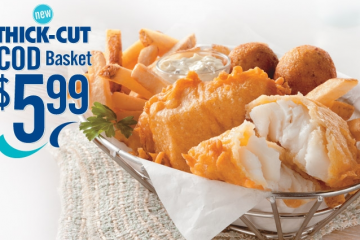 While most of the US can’t get ahold of Sheetz Food, we fell like it’s important to spread the word that gas station food has evolved into borderline restaurant material. For some this may be breaking news, but for residents of Pennsylvania, Ohio, West Virginia, Maryland, Virginia, and North Carolina, we’ve known for years that this Altoona, PA export pumps out delish food like your dog pumps out vicious farts. 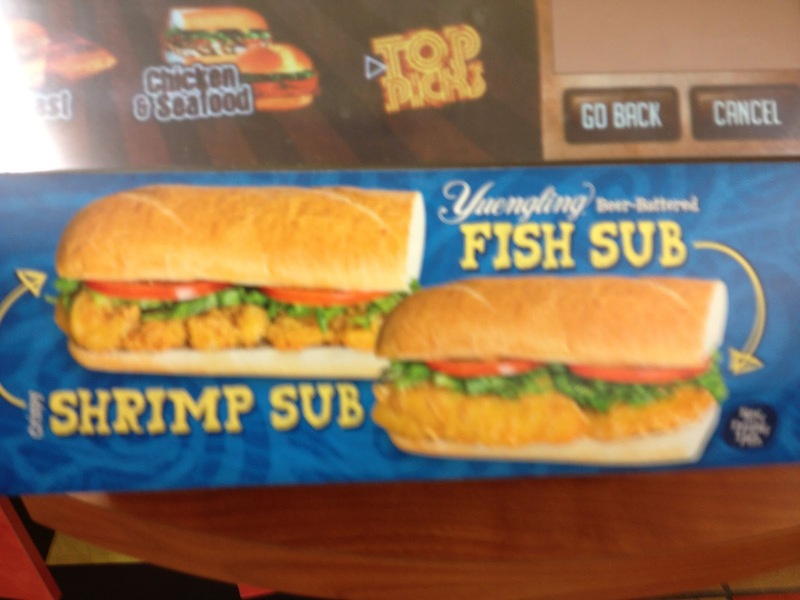 Pumping out gimmicks and promotional items with the best of them, Sheetz has unleashed Yeungling Beer Battered Fish and Shrimp subs out for the Lenten season. 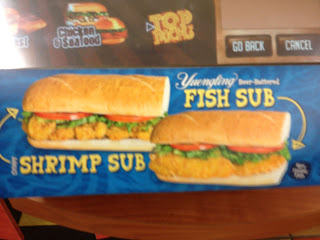 Continuing with our theme of trying out every fish sandwich we can flap our fins around, I ventured into a gas station for a fish sandwich. This statement almost sounds dangerous, but I proceeded because at this point, I’ve come to terms that I’ll pretty much eat anything from anywhere. 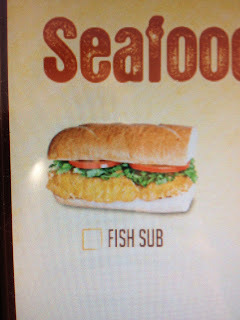 Ordering the Fish Sub, with lettuce, tomato, and what appears to be the federal mandated tartar sauce ran me a cool $3. This price is pretty comparable to most of the other sandwiches we’ve come across disregarding bulk and bogo pricing. Served to me in a metallic hoagie sleeve, I was happy to see that my to go travels would keep the sandwich at least borderline luke warm. 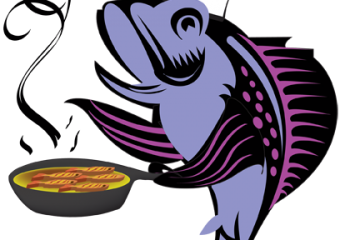 I unearthed this mystery fish creation to unearth a mixed bag of emotions. 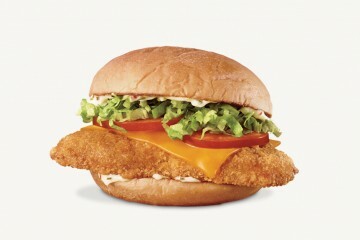 The deli style bun looked to borderline artisan, which came of out left center field. The fried fish filets looked crispy and had a golden fried overcoating, but looked rather thin and could barely cover the surface area of the bun, even with the double time occurring. 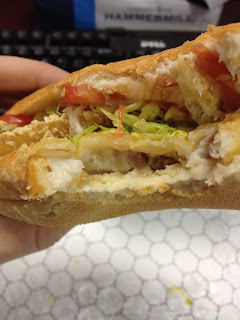 Per usual the lettuce shards on these sandwiches are as much as an afterthought as they are a main ingredient. 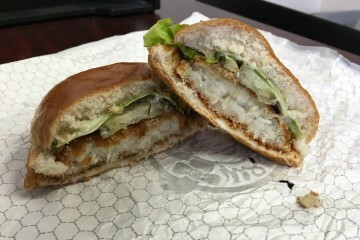 While it may be hard to see the tartar basting on the bottom bun, you better believe it was caked on and baked on like the sauce was going out of style. 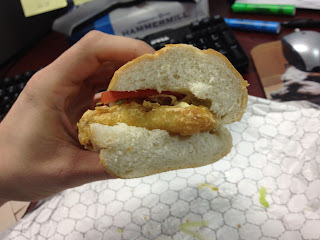 This fish sandwich was truly a bite by bite experience. 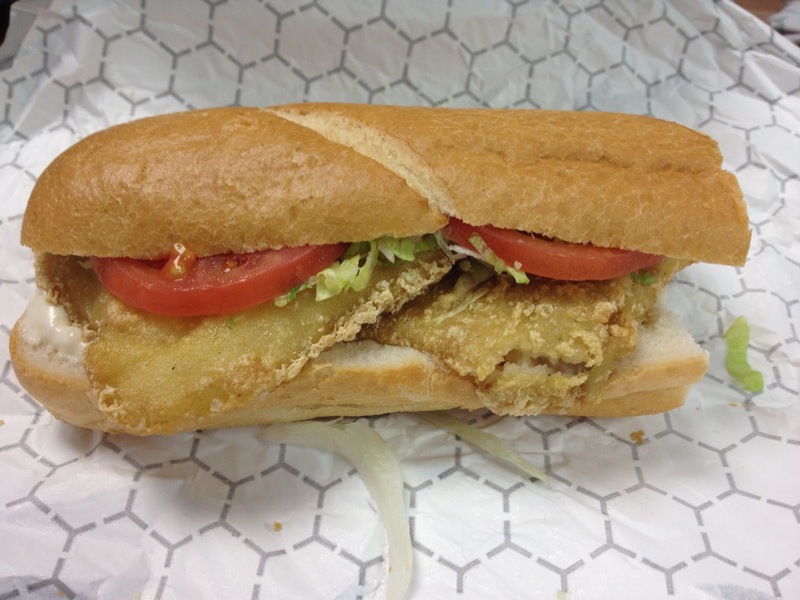 One bite you experienced jubilation and joy with all of the ingredients collaborating better than a Ludacris guest performance and the next bite left you feeling emptier than PNC Park in September. 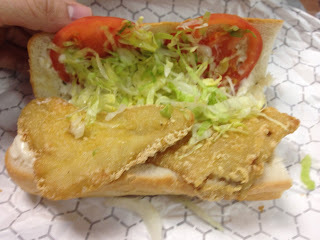 The fish, along with its “insert beer sponsor here” battering, was quite tasty but also rather thin and tiny. 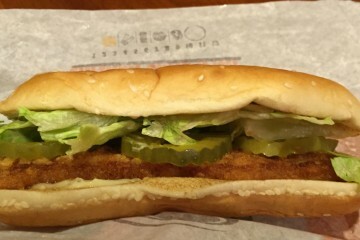 Some bites were solely bun and tar, which isn’t acceptable considering most sandwiches you find at the local fry have enough fish to feed all of Galilee. 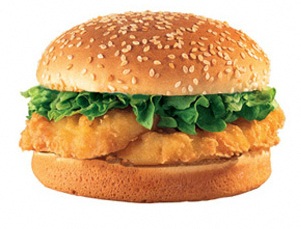 The taste of the fish and the high quality bun save this sandwich partially. 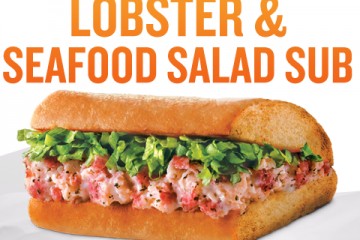 For the “come what May” man who haphazardly eats his meals this sandwich might suffice, but there are much better options at Wendy’s and Arby’s to fill your nets. 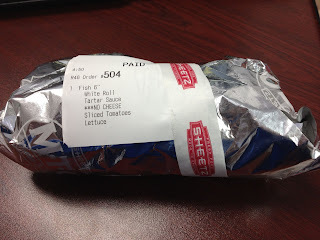 Sheetz are the main reason I enjoy visiting my family in Harrisburg. The whole touch screen really drew me in when I was younger being that it was so innovative. They've just been way ahead of the pack when it comes to convenient stores.